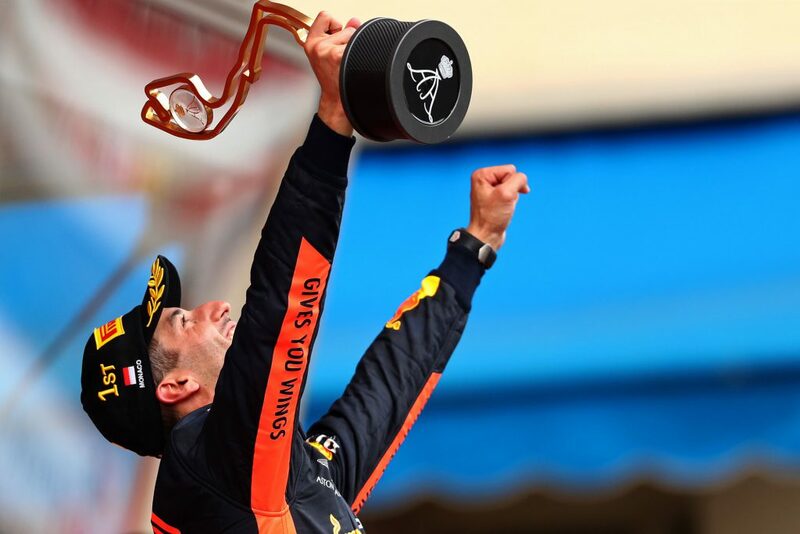 Daniel Ricciardo recorded a gutsy win in Monaco despite losing his MGU-K, worth around 120 kilowatts, on lap 18, leaving him more than 20 kilometres per hour down on straight-line speed compared to second-placed Sebastian Vettel. 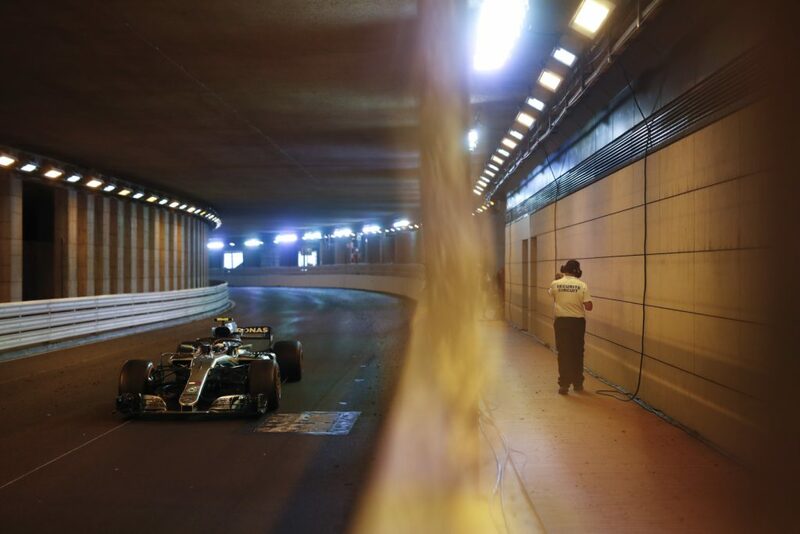 His route to victory added some much-needed tension to the usual predictability of the Monaco Grand Prix, which turned on the ability of teams to master the tyre compounds on the resurfaced street circuit. 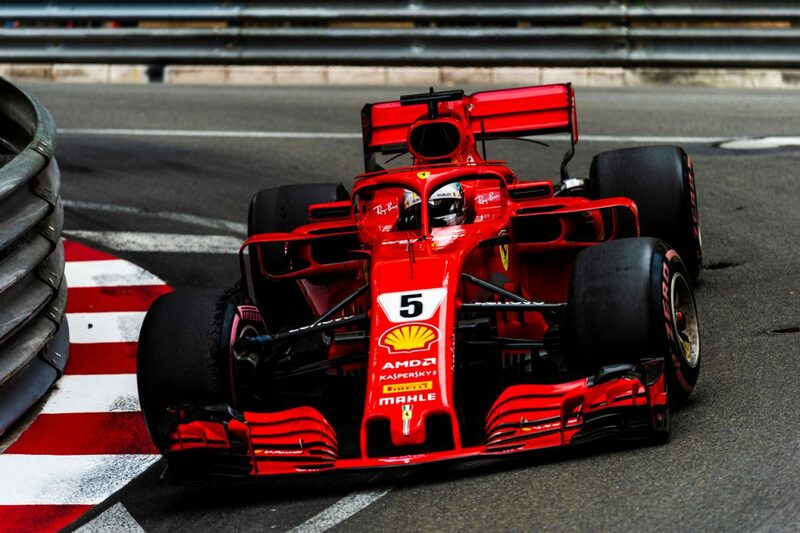 Pirelli debuted its hypersoft tyre in Monaco, the softest tyre it has ever produced for Formula One, alongside the ultrasoft and supersoft compounds. 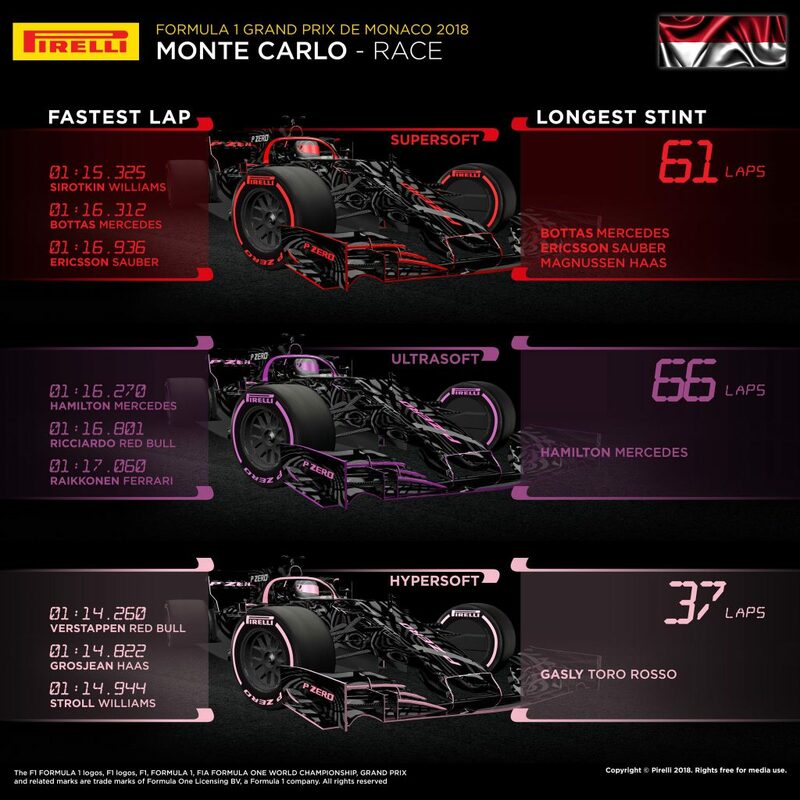 Teams stocked up on the hypersoft — all drivers had seven sets remaining after Thursday practice but just one set of each of the harder compounds — on the basis it is a substantially faster compound and on the assumption it would last the majority of the race given the uniquely undemanding Circuit de Monaco profile. However, practice suggested this wasn’t the case, with the hypersoft having a limited life span and requiring more management to be effective. 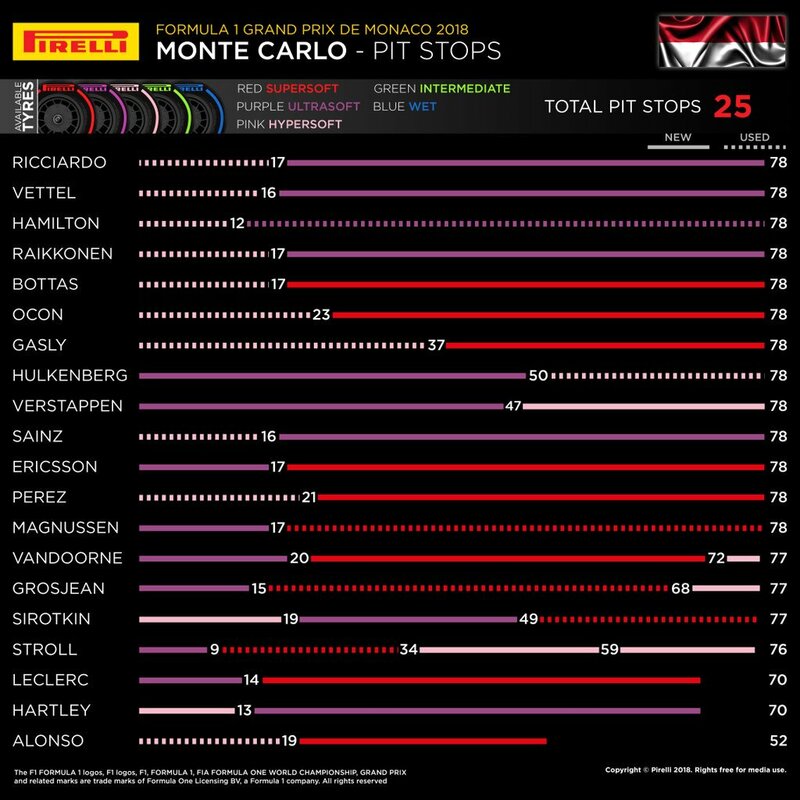 Pirelli estimated drivers starting on the hypersoft — in other worst those who qualify in the top 10 — would have to change off the pink-striped tyre by around lap 15. 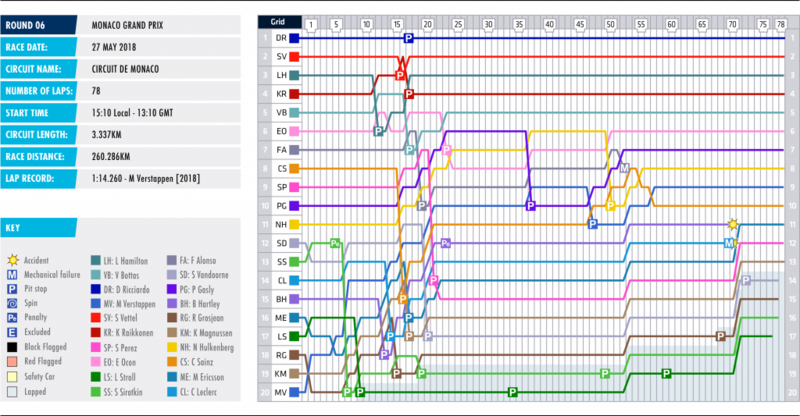 It left midfield drivers in the top 10 potentially vulnerable to those starting just outside the top 10 on one of the more durable compounds, which offered more flexibility for a race in which the timing of a pit stop can be crucial in the ultimate result. Mercedes attempted to make it into the top-10 shootout with the ultrasoft tyre in order to start on the compound, but the tyre was far too slow compared to the hypersoft to pull it off. Daniel Ricciardo took pole ahead of Ferrari’s Sebastian Vettel and Mercedes’s Lewis Hamilton, but whereas Kimi Raikkonen and Valtteri Bottas followed for Ferrari and Mercedes respectively, Ricciardo’s Red Bull Racing teammate, Max Verstappen, had crashed at the end of free practice three, causing too much damage to be repaired in time to take part in qualifying, leaving the Dutchman to start from the back. Daniel Ricciardo led the top five away from the line in grid order — his first hurdle — meaning the only likely way he would be usurped for the lead was strategically. Lewis Hamilton was the first to pit on lap 12 in an attempt to undercut Vettel and Ricciardo, but warm-up on the ultrasoft tyre was so difficult he actually lost time to his rivals. Vettel waited until lap 16 to stop, and Ricciardo, Raikkonen and Bottas followed on the next lap to cover each other off. There was no change of order, however, and Mercedes was the only team to split its strategies, putting Bottas on the supersoft tyre. It turned out to be the superior compound in the middle of the race, but not enough for the Finn to pass his compatriot Kimi Raikkonen for fourth. 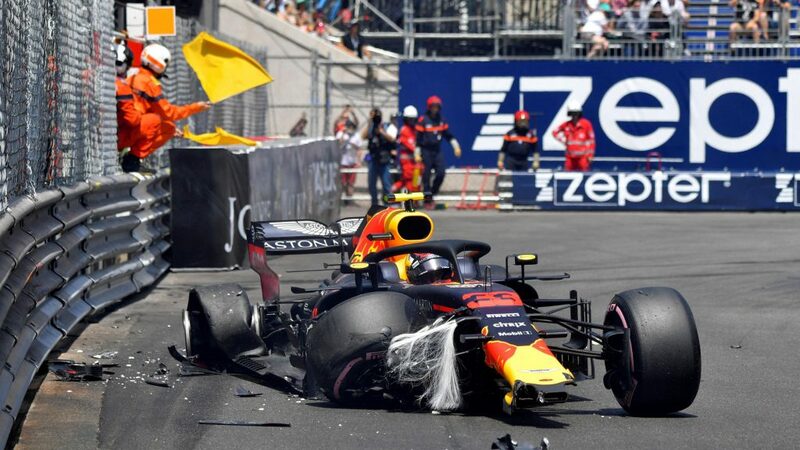 Were it not for the power unit problems, Ricciardo was essentially home by this point, but given his lack of engine performance, a safety car would’ve presented him with a new challenge. Vettel and Hamilton, for example, may have stopped for fresh tyres to give themselves a greater pace advantage with which they could attempt to force the issue on the Australian. Fortunately for him, no safety car was required. Nico Hulkenberg and Max Verstappen used the reverse strategy — starting on the ultrasoft to end the race with a blast on the hypersoft tyre on low fuel — worked a treat for both, earning them three and eleven places respectively, though Verstappen’s move up the grid was also down to a series of overtaking moves in the first stint. Hulkenberg was up to sixth when he made his lap-50 stop, dropping behind Pierre Gasly; Fernando Alonso, who retired; and his teammate, Carlos Sainz, who let him past without fuss. 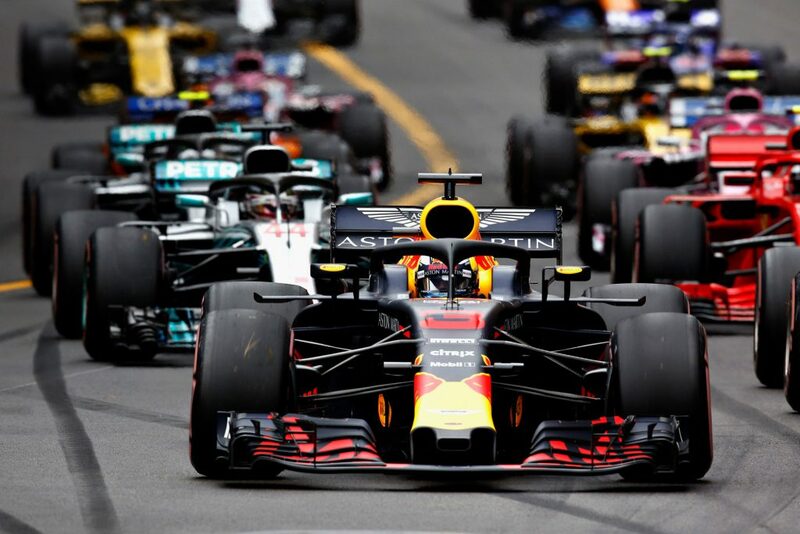 Verstappen dropped from ninth to 11th after his lap-47 stop and need to pass only Sainz, which he did shortly after Hulkenberg scythed past, finish ninth once Alonso’s McLaren stopped with a gearbox problem. Pierre Gasly finished s superb seventh after pushing his hypersoft tyres an impressive 37 laps for his opening stint. The Toro Rosso driver was up to sixth when he made his stop, which dropped him behind Ocon, Alonso, Hulkenberg and Verstappen. The latter two hadn’t made their stops yet and fell behind once they did, and Alonso’s retirement promoted him to P7 to score some impressive points. Force India’s Esteban Ocon started sixth and spent most of the race battling McLaren’s Fernando Alonso before he retired before taking the chequered flag in his qualifying position. Alonso attempted to undercut Ocon by pitting first on lap 19, and he was aided in his question by teammate Stoffel Vandoorne, who lamented after the race that he had been left out longer than his chief rivals at the time — Charles Leclerc, Brendon Hartley and Kevin Magnussen — just to hold up Max Verstappen to allow Alonso to emerge from pits ahead of the Dutchman. It gave Alonso the chance to maximise his pace on the new tyres, but it wasn’t enough, with Ocon emerging from pits still ahead of the Spaniard after a lap-23 stop. Ocon was clever in maximising his race time, allowing Hamilton to breeze past him out of the tunnel on lap 13 after the Briton had made his stop — a futile defence against a faster car might’ve been enough to reverse that one-second margin he held on Alonso after his own stop. Sergio Perez had a difficult afternoon after his first pit stop, which was slow and dropped him behind Brendon Hartley, Charles Leclerc and Marcus Ericsson when he should’ve been battling with Carlos Sainz, who was four places up the road.